What began as a husband-and-wife team working part-time has now blossomed into a full-time network of dedicated rescue workers. 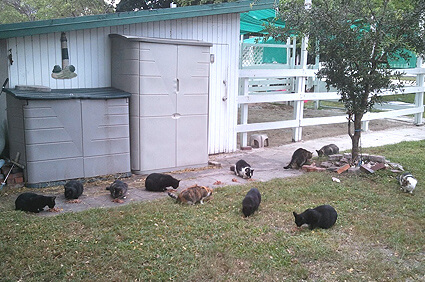 After moving to South Florida from Tennessee in 1996, Barbara and Jim Beeson discovered that their fellow Pompano Beachers were offering up haphazard care for a feral cat colony. While food and emergency veterinary care were being irregularly covered, no spaying or neutering was taking place. The Beesons recognized that this small colony could grow to epic proportions, and that someone needed to act fast to prevent the development of a crisis scenario. Ultimately, with the tireless assistance of Barbara’s mom, Bette Walston, and local attorney Thornton Scott, Noah’s Ark Sanctuary for Abused and Abandoned Animals was officially founded. Since that time, their efforts have made a significant impact, recognized by both community leaders and governmental agencies. Staffed only by volunteers, they’ve adopted the practices as outlined by the principles of TNR to deal ethically with feral cat communities. For those who are not aware, TNR is a method where felines are trapped without injury, neutered or spayed, and then released so that they may return to their feral group. Local feral cat colonies are overseen according to guidelines established by Alley Cat Allies, a popular feline advocacy organization. And now, thanks to the adoption center NAS opened in 2003, they’re able to provide for the daily needs of many cats rescued from a variety of unhealthy situations. As the old saying goes, actions speak louder than words. And with NAS’s “Help a Stray a Day” program, this little-rescue-that-could is making a big statement when it comes to curbing pet overpopulation. Started one year ago, this targeted effort was established to make a difference in an economically depressed area of Pompano Beach where feral cat colonies have previously flourished. In tandem with their TNR efforts, NAS seeks to educate local communities about responsible animal care and ending the cycle of overpopulation. While the majority of their work consists of feeding and maintaining feral colonies, they don’t hesitate to take an abandoned canine or two under their wing either. That’s right, there’s no species bias at Noah’s Ark Sanctuary. Right now, there’s no space at their shelter dedicated to dogs, so NAS relies upon their network of volunteers to provide home-based care for these pups. Their dream is to acquire land and build a no-cage, no-kill shelter with enough room to provide veterinary care and hold adoption events. They envision a property with a large, fenced area for healthy feral cats and dogs to roam freely and safely, and to provide lifetime sanctuary for those deemed unadoptable. Furthermore, their intention is to host free spay/neuter days and to provide low-cost veterinary care for pet parents bearing heavy financial burdens. With the funds awarded by the Dr. Jane’s HealthyPetNet Foundation, Noah's Ark Sanctuary bolstered their ongoing efforts to provide care and management for a local feline colony. A couple of years ago, this group of cats took up residence in a tackroom at an equestrian park. Every spring brought a bumper crop of feral kittens. When they began working with the colony, there were over 200 malnourished and sickly cats in the park. 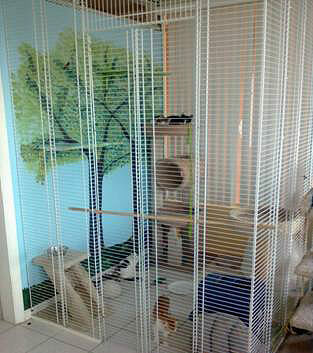 Thanks to our donation and community support, they now have a system in place to keep the cats safe and healthy. What was an out-of-control community of feline misery is now manageable colony of 70 healthy cats who are able to live in security and comfort. 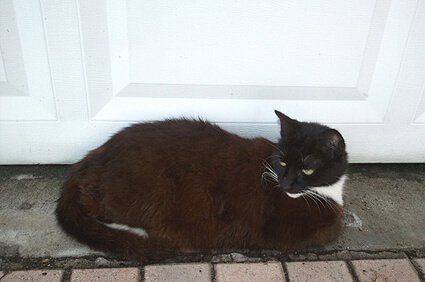 One of the cats, Natasha, was diagnosed with a cancerous tumor on her back, which necessitated surgery. As Barbara put it, “Your generous donations saved her life.” The operation was a complete success, giving her a second chance at a normal life. Barbara added, “She is just one of many animals blossoming thanks to you.” Additionally, our funds were dedicated to their continuing efforts to educate the public about responsible pet parenting. Thanks to NAS, more and more Pompano Beachers are adopting companion animals from rescues. We’d like to convey our heartfelt thanks to all of our readers and customers who, through their personal donations and continued business, made this grant possible. Each one of you has directly helped Noah’s Ark Sanctuary to continue its vital work towards making the world a better place for abandoned companion animals. Remember, every time you order Life’s Abundance products, a portion of the sale goes directly to our foundation. If you or someone you know works with an animal rescue organization that’s worthy of special recognition and some extra financial support, please know that we are still actively seeking grant applications for 2012. With your help, we’re ready to fund more dreams and make other life-saving stories possible. Check back next month for another dose of good news!